During the First World War (1914-1918), the role of women in Britain was massively altered and the women’s sphere was enlarged in every direction. Some historians mark the First World War as a watershed moment in women’s history when women were looked at less as fragile creatures and more as robust figures. 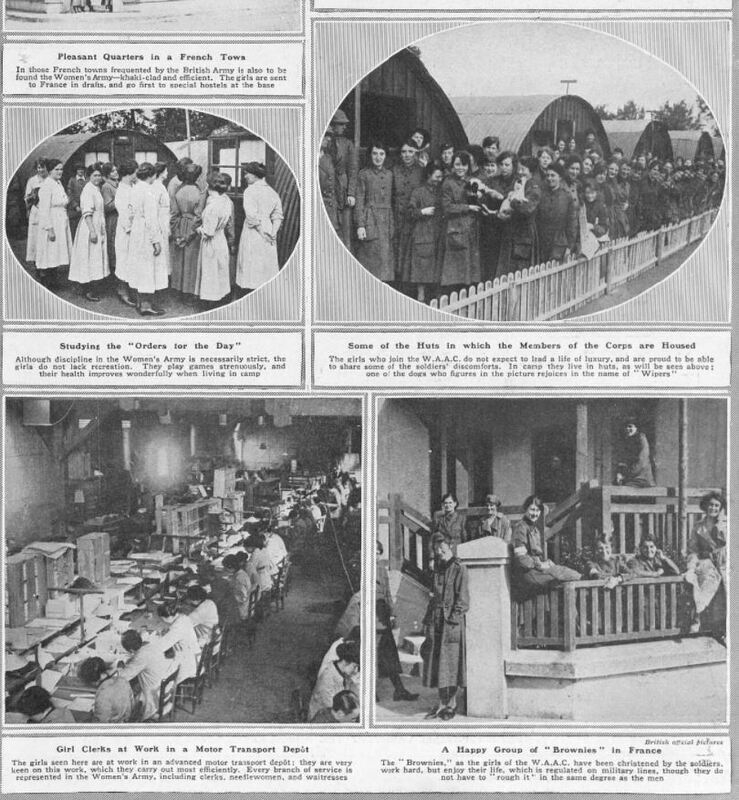 A single blog post is not enough to explore all the contributions of women during the Great War, but we have combed through The British Newspaper Archive and pulled out highlights to present an overview. 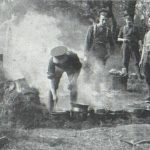 Women entered into various roles to help the war effort. They were employed in factories, docks, the transport industry, farms, arsenals, and banks: areas which were formerly reserved for men. 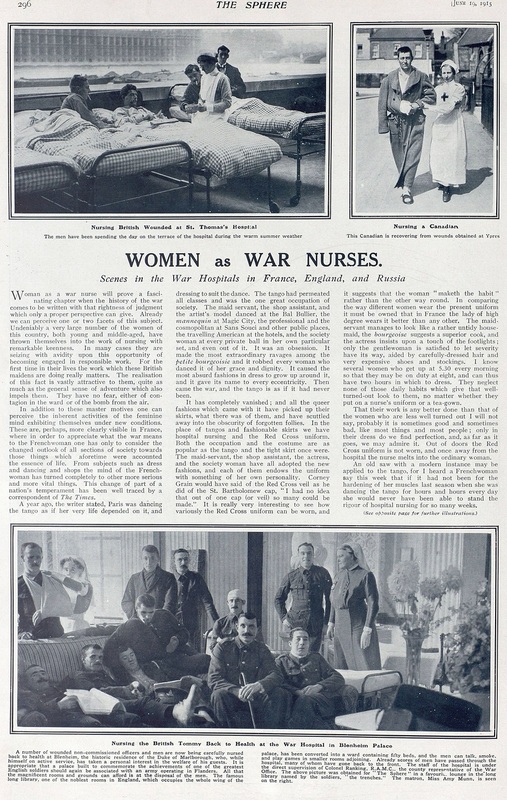 Women joined military service through the auxiliary forces, and nurses were sent to the front lines for medical support. There were also some unconventional women who created their own roles. ‘When victory is ours it will have been won by three things – the Tommies, the imagination that created the Ministry of Munitions, and the patriotism of the women’. Once war broke out, women were called on to take up not only the positions left by the men who enlisted but also positions in new munitions factories. Munitions were the more dangerous work because of the daily exposure to toxic TNT and risk of explosions. After long exposure to TNT, workers risked toxic jaundice. This dangerous substance seeped into their skin and would cause headaches, digestive troubles, and more. The explosive would turn the workers’ hair and skin yellow, which is how munitions workers gained the nickname ‘canaries’. 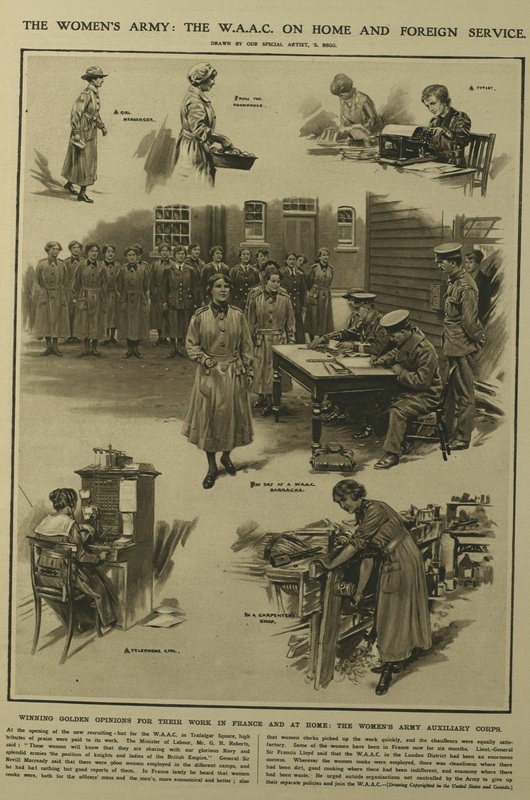 An excellent resource for exploring the work of women during the Great War is the Illustrated London News‘ section ‘Women and the War’. 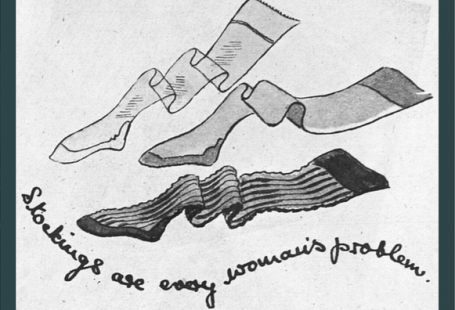 It was a weekly series which began in 1916 by cutting down the words of Lloyd George who stated that ‘the women are splendid’. 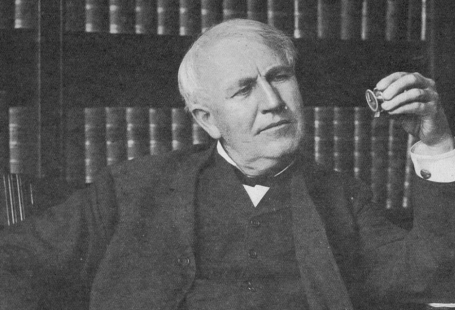 The author stated that men’s perpetual astonishment that ‘the hand that uses the powder puff can also help to rule the world‘ was not a compliment. Each week the series provided updates of women working across the country and abroad. While visiting a factory in Clyde, the King witnessed a woman plate-cutter using the mixed-jet cutter. 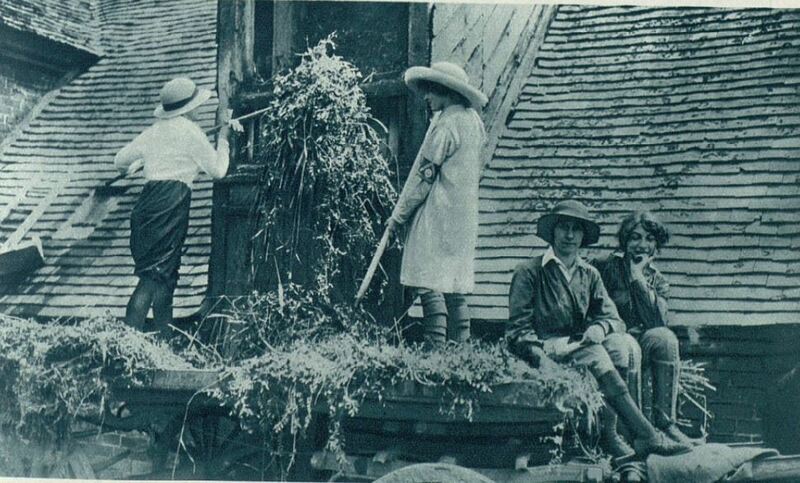 In Evesham, women were sent out to the farms to assist with agricultural work. This group of ‘Brownies’ – so ‘nicknamed because of their earth-brown breeches and smocks’ – were photographed filling a barn. 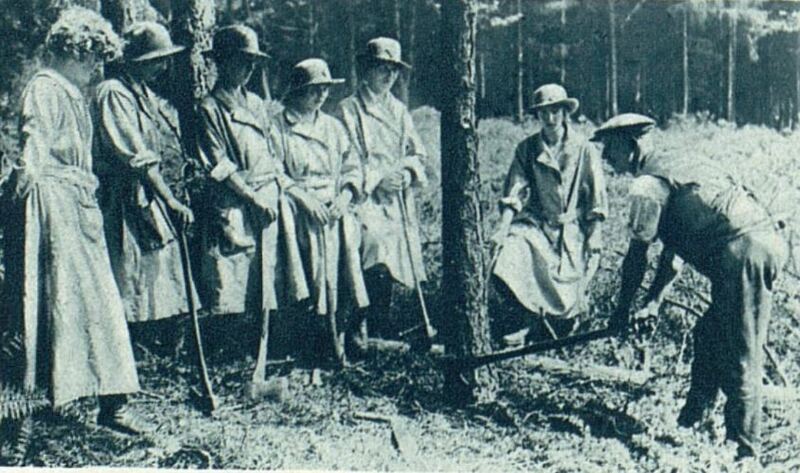 In Newstead Abbey, women trained as wood-cutters in order to prepare timber. 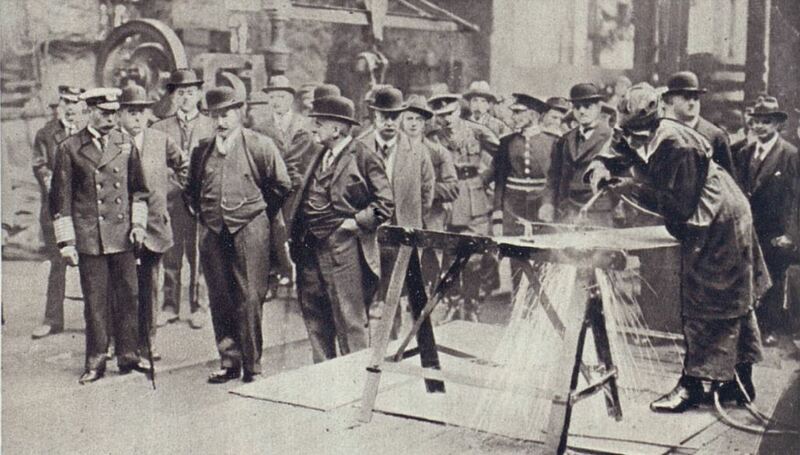 At the City of London Mental Hospital Fire Brigade at Dartford, women joined the fire brigade after its regular members joined the military services. 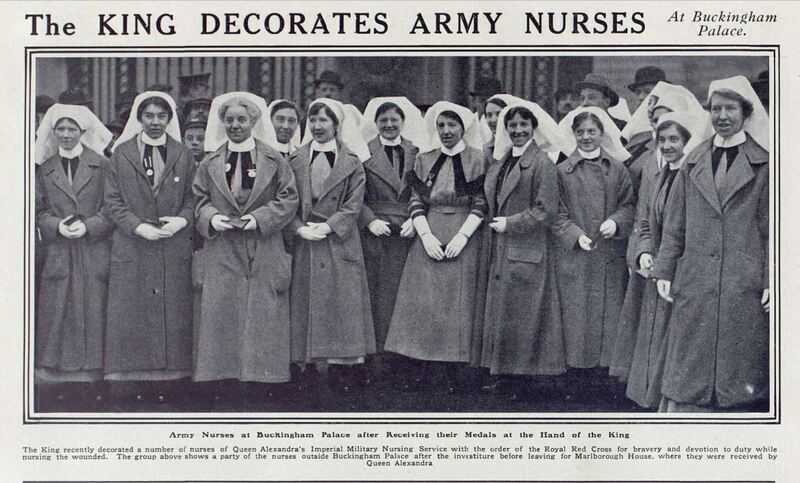 Nurses were mobilised across Britain at newly created military hospitals and on board hospital ships. They also staffed hospitals and casualty clearing stations on all the fronts. They worked with the Red Cross, Queen Alexandra’s Imperial Military Nursing Service, Voluntary Aid Detachment, Territorial Nursing Service, and other nursing services. Nurses witnessed first hand the horrific effects of war by treating battle wounds and combating diseases. 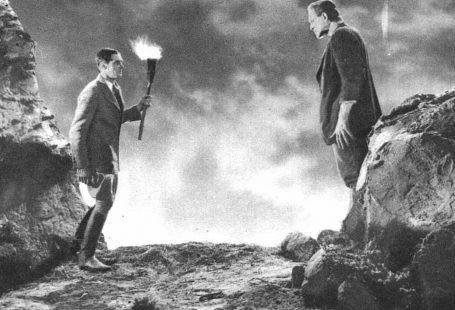 As the war continued far longer than anticipated, it became evident that more men were needed on the battlefields. For each man that was pulled to the front, someone needed to take his place. 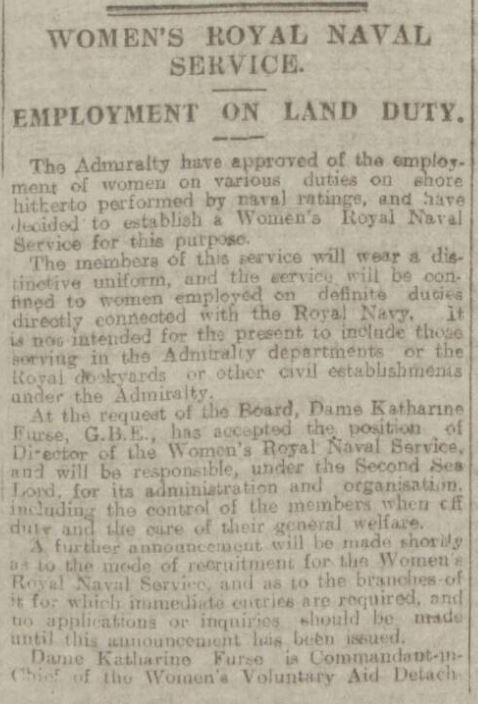 In 1917, the British government began to create a women’s branch of the military for the various forces. The WAAC was established in 1917 and was the women’s unit of the British Army. 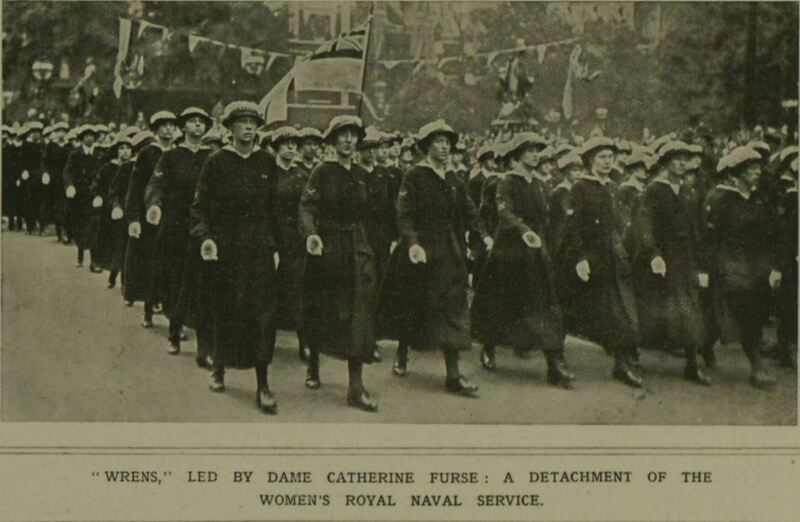 In 1918, it became Queen Mary’s Army Auxiliary Corps. 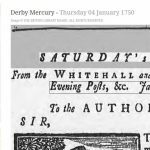 Women were recruited to work as messengers, typists, cooks, and even carpenters. The Sphere provides photographs of the Women’s Army Auxiliary Corps in France. The photographs show the huts that they lived in on the camps as well as women at work in the advanced motor transport depot. 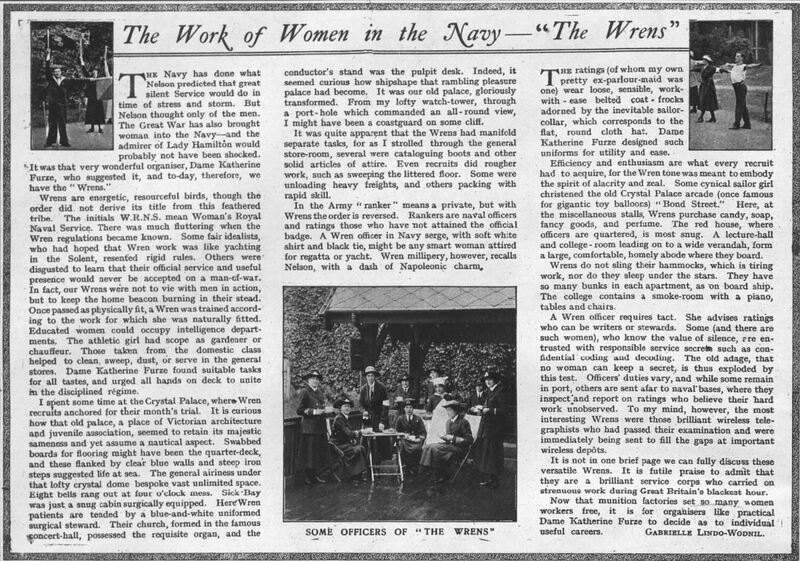 The WRNS became known as the Wrens. They were first established in 1917 and disbanded in 1919 after the war ended. Then they were revived for the Second World War. Women were employed in various duties on shore hitherto performed by naval ratings such as cooks, clerks, wireless telegraphists, weapons analysts, electricians, and air mechanics. 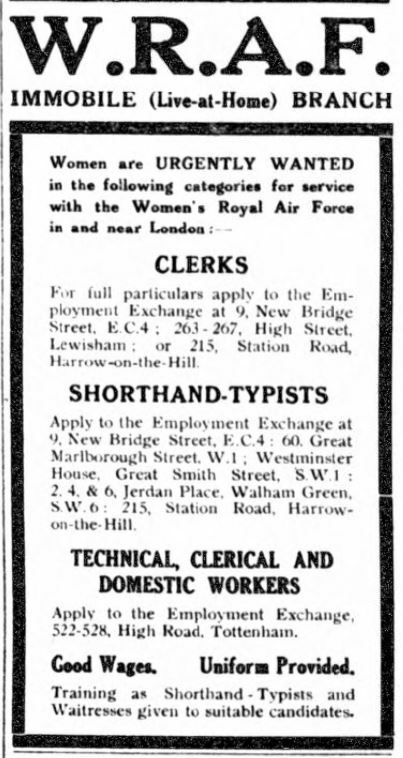 The WRAF was founded in 1918 and employed women as mechanics and drivers. It was disbanded in 1920 but reinstated in 1939 for the Second World War. The WRAF was given the nickname ‘Penguins’ because they were like the birds since they did not fly. 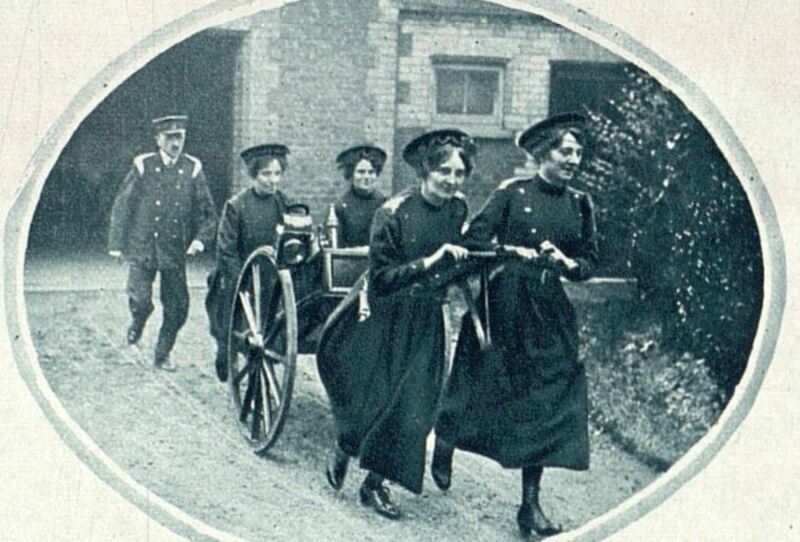 The First World War gives us numerous stories of unconventional and brave women. Women who forged their own path forward in order to help the Allied forces. Elsie Inglis helped to set up the Scottish Women’s Hospital. It was an all-female staffed hospital funded by the women’s suffrage movement. 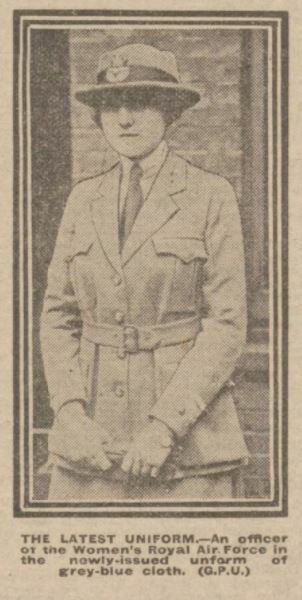 When Inglis was refused support from the British War Office, she went to the French government who were ready to accept the Scottish women’s medical support. A hospital was established in Calais and then a second in Serbia at the Abbey of Royaumont. In 1915, the Germans invaded Serbia and the hospital staff was all captured as they refused to retreat but stayed to treat their patients. Inglis was repatriated in 1916 and continued her work to support another unit of the Scottish Women’s Hospital in Russia. She travelled to Russia but had to return after a year when she was diagnosed with cancer. Elsie Inglis died in November 1919. You can read more about her life in the newspapers. Flora Sandes was despatched as a nurse with St John Ambulance to Serbia in 1914. In 1915, when the Allied forces were retreating, Sandes chose to stay and joined the Serbian army. Within the Serbian army, Sandes raised to the rank of sergeant-major. In 1917, she suffered severe wounds from a Bulgarian hand-bomb that exploded while she was helping to clear out an enemy trench. The explosion left ‘the whole right side of her body, from shoulder to the knee, a mass of torn flesh and shattered bone’. For her efforts, Sandes was decorated by an aide-de-camp on behalf of Serbia’s Prince Regent. However, she could not return to active service. In this post, we were only able to highlight a fraction of the contributions of women during the First World War. In our next post, we will take a look at women during the Second World War. Discover more about how women were affected by the two great wars of the 20th century. Get amazon gift card codes from here completely free of cost.